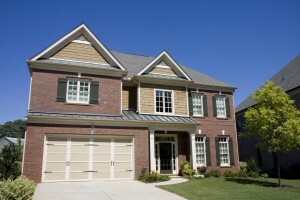 Why choose steel garage doors from 31-W Insulation for your garage door replacement project? As our many satisfied customers in North Charleston, South Carolina, would agree, the answer is easy: 31-W’s doors are among the most dependable on the market. The slew of top-quality home improvement products that we offer partly explain why we have earned and maintained an A+ rating from the Better Business Bureau. Of course, when it comes to garage doors, we provide much more than outstanding products; throughout the Southeast we are also known for expert installation services. What’s more, all our garage doors are backed by a comprehensive manufacturer’s warranty for assurance that your investment is protected. To learn more about our steel garage doors, contact 31-W Insulation to schedule a free consultation at your North Charleston, SC, home.